Hogarth’s Wildlife Removal specializes in Raccoon eradication. Raccoons are mammals that have a white face with a distinctive black mask across it. Their overall coat ranges from brown to black and can be mixed with a light yellowish brown tint. They have bushy cylinder shaped tails with bands of light brown and black rings. They can weigh up to nearly 50 pounds and can be close to 40 inches long. Raccoons live in wooded areas primarily abundant in hardwood forests. They can reside in an area as small as 12 acres to as large as 740 acres. In the warmer months they start to become active around sunset, with their activity peaking close to midnight. They have acute hearing and sensitive forepaws that make being a nocturnal hunter easier for them. Their eyes have a highly developed tapetum lucidum, which aids in night vision and makes their eyes appear as though they glow in the dark. Raccoons usually make their dens alone in hollow trees but will occasionally make their homes in a rock crevices, woodchuck burrows, or abandoned buildings. They do not hibernate. 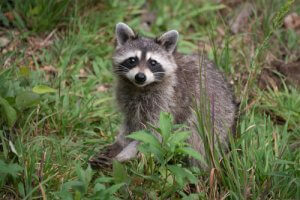 Raccoons are not picky eaters and will eat anything from berries, acorns, and insects, to fish, rodents, and reptiles. They nhave an average lifespan of approximately 2-3 years, however there have been cases of some surviving up to 13 years. Their lifespan is considerably shortened due to hunters, fur trappers, and cars. Raccoons can pose threats to the public because they carry canine distemper and rabies. They also are known for digging through household trash containers and dumpsters. Raccoons are extremely smart animals and can make their way into homes and businesses. Once inside, they can leaving droppings, chew, and destroy the attic of your home or business. These animals are nocturnal unless an illness such as mange or rabies has affected their natural schedule. If you have noticed a raccoon walking around in daylight, they are most likely sick and should not be approached or handled. Due to the diseases they are capable of spreading, it is advised to avoid contact at all costs. 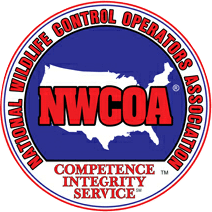 Seek the help of a licensed wildlife professional. 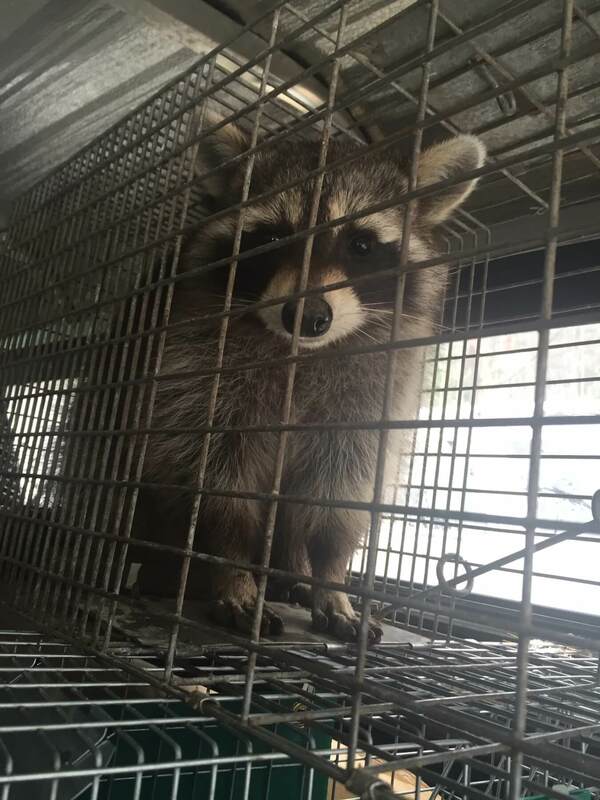 At Hogarth’s Pest Control & Wildlife Removal, we specialize in the type of trapping and exclusion work to keep your property raccoon free. Call us today!